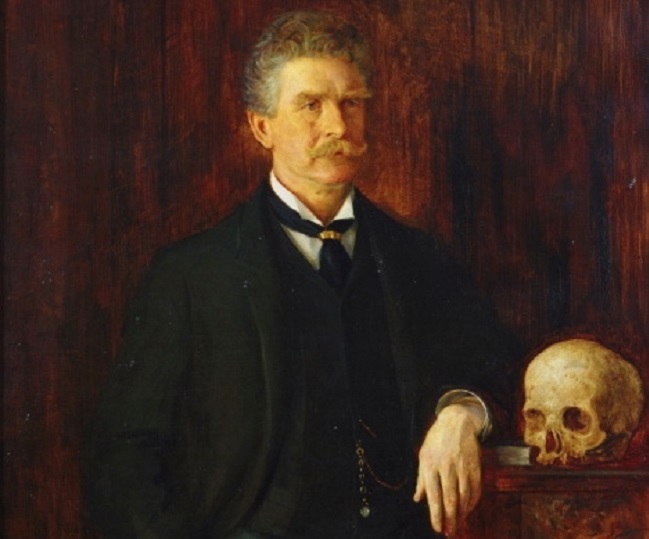 Detail from portrait of Ambrose Bierce by British painter John Herbert Evelyn Partington (1843–1899), whose daughter Blanche received the last known letter sent by Bierce before he disappeared. Image courtesy of Wikimedia Commons. A century ago Ambrose Bierce carried out (intentionally or not) one of the most legendary disappearing acts in the history of literature. He was reported to have crossed the border into Mexico in late December 1913—and was neither seen nor heard from again. Since then, a multitude of theories have been advanced, many of them beyond the realm of possibility. A number of scholars believe he may have been killed at the Battle of Ojinaga, won by Pancho Villa on January 11, 1914. A recent biography by Roy Morris Jr. questions the idea that Bierce ever went to Mexico at all and advances another popular theory: that he committed suicide, perhaps by shooting himself while staying in the Grand Canyon. Among the more sensational claims is an old rumor that Bierce had re-emerged a decade later in Mexico City as the mysterious writer B. Traven, author of the 1927 novel The Treasure of the Sierra Madre. Ridden in four miles to mail a letter. Ride from Juarez to Chihuahua hard—nights cold, days hot. Allusion to Jornada del Muerta (journey of death) of thousands of civilian refugees, men, women and children. Train load of troops leaving Chihuahua every day. Expect (next day) to go to Ojinaga, partly by rail. . . . I must also have told you that I intended to go by the way of Mexico, which I am doing, though it looks now as if “the Andes” would have to wait. . . . I do not know how, nor when, you are to get this letter; there are no mails, and sometimes no trains to take anything to El Paso. The letter ends, “As to me, I leave here tomorrow for an unknown destination.” [The text of the entire letter, included with Day’s account of his research, can be read here.] 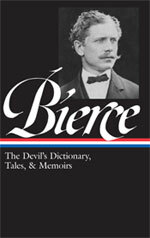 What happened to Bierce after December 26 remains unknown, although it is widely agreed that he probably died in 1914. A man stood upon a railroad bridge in northern Alabama, looking down into the swift water twenty feet below. The man’s hands were behind his back, the wrists bound with a cord. A rope closely encircled his neck. . . . If you don't see the full selection below, click here (PDF) or click here (Google Docs) to read it—free!